A Madman On The National Security Council? 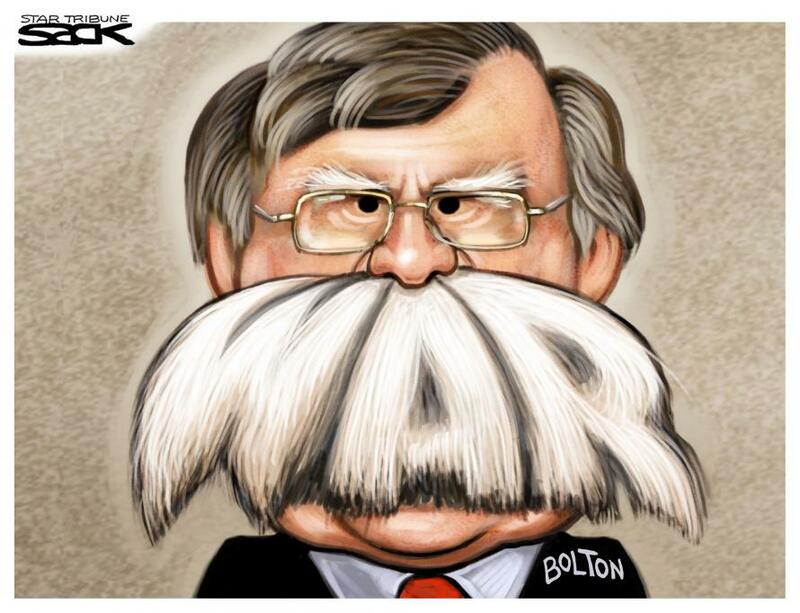 Would that John Bolton were only a clown. The mustachioed alleged diplomat, briefly of the Bush administration - and initially criticized as too controversial even for that team - has now been appointed national security advisor. That position will give him the president’s ear on matters of foreign policy, as well as control over which other administration principals enjoy such access. Donald Trump pledged that if elected he would be a different kind of Republican president, and he’s delivered: under the last GOP administration, Bolton occupied a slightly lower-ranking position than he does now. What makes Bolton unique among hawkish operators is that he doesn’t feel the need to hide any of these machinations. That brings us back to Trump, the insurgent who won the 2016 election pledging to repudiate the George W. Bush legacy and keep the United States out of foreign wars. It’s a show of both neocon strength and Trump impressionability that a mere year and a half later the most warmongering personality in Washington has already clambered all the way up to national security advisor.